Canada! Canada is the second largest country in the world with close to 10 Million km2. Population in Canada is just over 30 Million. Canada's capital is Ottawa, but the largest city in Canada is Toronto (ON, Canada), following by Montréal & Quebec City (QC, Canada) and then Vancouver (BC, Canada). Other major cities in Canada are: Victoria (BC, Canada), Abbotsford, BC, Edmonton (AB, Canada), Calgary, Lethbridge (AB, Canada) and Winnipeg (MB, Canada), Charlottetown, PEI, Halifax, NS. The Largest province in Canada is Quebec. However the largest population is in Ontario with capital city of Toronto whose population is almost half of the population in Ontario. Visit other Canadian cities as well: London, Waterloo, Burnaby, Red Deer, Med Hat, Mississauga, Windsor, Saint John, Regina, Sherbrooke, Laval, Gatineau, Vaughan, Peterborough, Niagara Falls, Oakville, Niagara On-The-Lake, Airdrie, Capebreton, Cambridge, Sarnia, White ROCK, Nanaimo, Kelowna, Penticton, Coquitlam and Yellowknife in NorthWest Territories, or see a list of all Canadian cities or Canadian cities with duplicate city names (same city name but different province). Population in Canada like in other countries is tightly bound with population growth rate. Canada's natural growth rate is 0.4% (percent), but Canada's overall growth rate is 1.0%, due to Canada's immigration policies. It has been approximated that by 2070, Canada's population will double from 30 million to 60 million people in Canada. Canada is well known for its stunning natural beauty and Canadian hockey, but is also famous for its cosmopolitan multicultural cities and high quality of life. Beautiful country to travel and explore. Rich with holidays, it makes Canada another good reason to live in. Canada is known for other things like Canada maple syrup, Canada ice wine, cleanliness, communication industry, Canadian Fishing and hunting natural resources. Improving in technology on regular basis. Canada is also well known for quality post secondary education having university in each province. See list of all Universities in Canada. O Canada is the begining of Canada's National Anthem. You Can hear O Canada if you have real audio application. Not only Canada and Canadians respect the government of Canada but also many other countries have a high respect for Goverment of Canada. The flag of Canada is red and white, with red leaf in the center of white portion of Canadian Flag. Yes, all this is Canada! 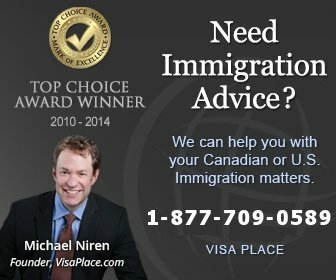 Would you like to travel to Canada or migrate to Canada? In that Candian case you better read more about Candian visas and Canadian immigration at Canadian immigration forum web site, where you will find many submissions and where you can post your submission. acation hotspots in Canada include Banff in Alberta, Vancouver in British Columbia, and Quebec City in Quebec. Banff is a popular destination for those looking to do some skiing or hiking. Vancouver is also a skiing hotspot on Grouse Mountain, but you can also do some surfing on Wreck Beach. Quebec has the highest number of French speaking citizens in Canada and is a must-see for a Europe-like vacation. During the harsh winter months some Canadians travel down to Florida or California in the U.S.A. Disney is a popular attraction amongst families. DVC Resales are a common accommodation choice because of their spaciousness and relatively low price for what you get. Those with timeshares in Canada can use the RCI timeshare exchange service to exchange their timeshares for something else down in the USA. Canada's national animal is a beaver! Canada's national colours are red and white! Canada's two official sports are lacrosse and hockey! Canada is second largest country on the earth! Canada has the cheapest internet access on the earth! Canada has the 2nd largest % of population on the internet! Canada has the largest number of Candian citizens! Really! Canada is known as Kanada in German, yes Kanada! Toursim is very well developed during summer and winter! All these Canadian facts are facts by themselves!! !